On the backside of intensive growth: Ironically, it is not unusual for people to experience a loss of presence following a time of excessive presence or growth. I wonder if God doesn’t back away a bit to allow us time to integrate intense spiritual experiences. Or it may be that our “normative” experience of God suddenly seems very shallow and lacking after a spiritually high period. Either way, don’t be surprised if this type of drought happens to you. A seeming lack of God’s presence after a mountain top experience is not unusual, but this time won’t last forever. Mystery. Some times you just won’t know. Some times you can’t find any rhyme or reason for a seeming lack of God’s presence. These are the hardest times to endure. These are also the times of greatest faith. Believing is easy when God seems in every conversation and on every street corner. Being faithful is not so easy when God seems strangely absent. Six Ways You Can Respond to a Drought? Stay rooted in God’s Word. Psalm 1 says, “But his delight (a righteous person) is in the law of the Lord, and in His law he meditates day and night. He will be like a tree firmly planted by streams of water, which yields its fruit in its season and its leaf does not wither and in whatever he does, he propers.” (Psalm 1:2-3) God’s Word will continue to feed and sustain you even in dry times. Though you may read and feel nothing as you read continue to read it is sustaining you. Remember what God has done in the past. Take time to reflect on who God is and what God has done in the past. Summon to mind times when God was undeniably real to you. I find this can trigger me into a place of greater awareness. Purge. Sometimes we just get in spiritual ruts. I suspect you have activities and possessions that have no spiritual value. They keep your priorities ensnared. Let go of these things and replace them with something dedicated to God. Immerse yourself. I find that reading spiritual classics can often inspire me. If you have the time go on a spiritual retreat and saturate yourself with prayer and worship. Acceptance. If none of these suggestions seem to have any positive effect, then you may just need to accept that where you are right now is where God wants you. Stop asking God why you are in a drought and look for what God wants you to do while you are there. In short, trust and obey. Dry times will pass. They are not always entirely bad times, but they certainly aren’t fun times. 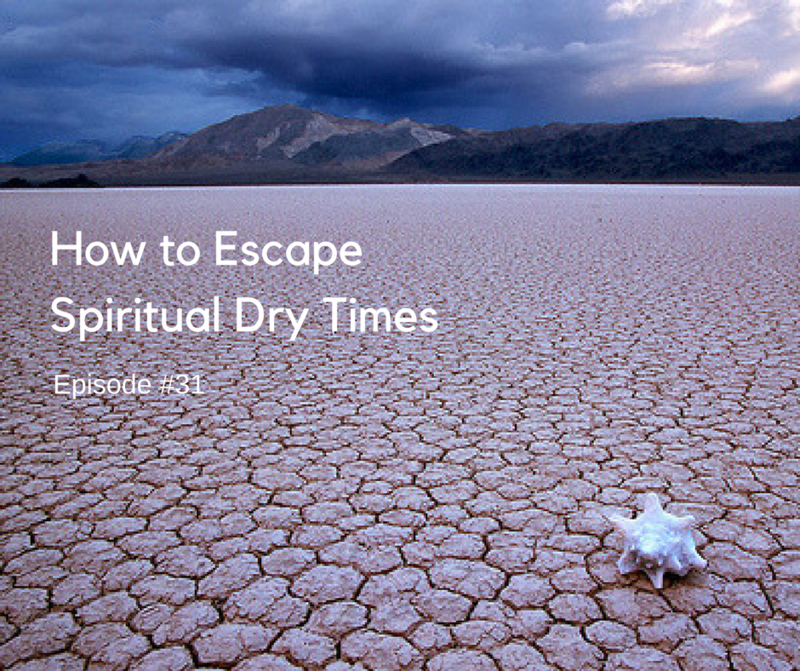 One of the best ways to safeguard against a drought it to daily tap into the living water of Jesus Christ through prayer. If you do not have a daily discipline of prayer and bible study, download the resource below to get started with your daily devotional practice. 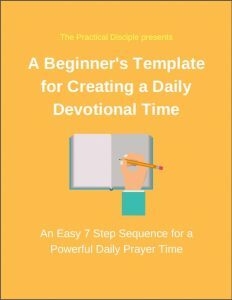 I’ve put together a free brief resource guide that includes my personal 7 step sequence for daily prayer and step-by-step instructions on how to keep your daily habit of prayer fresh and vital.